Renowned gastronome (1755–1826). 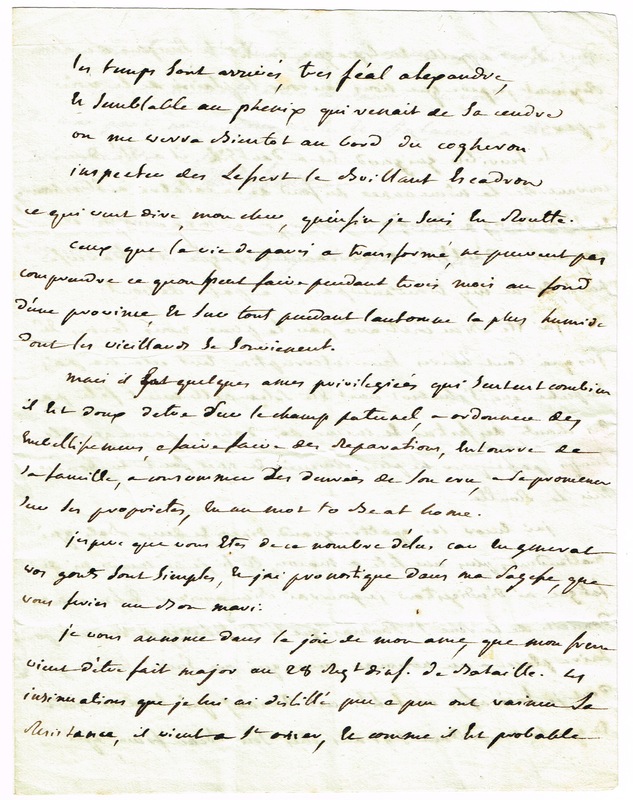 ALS in French, signed „Brillat-Savarin“ n. p. 4to. 2 1/2 pages. 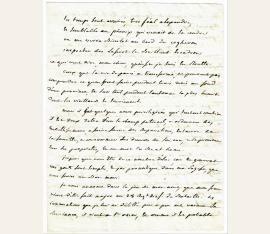 Letter to Alexandre Delessert, of whom Brillat-Savarin writes in his Physiologie du Goût: „My friend Alexandre Delessert was the first to bring into general usage the charming practice of chilling and blending Madeira wine with strawberry and pineapple juices.“ Brillat-Savarin begins his letter with a rhyming quatrain comparing himself to the phoenix reborn from the ashes and announcing his return to Paris and his friend Delessert. He continues (translated): „despite what people say about the countryside in autumn…a few privileged souls feel how sweet it is to be on the fields of one’s forefathers, arranging for beautifications, ordering repairs made, surrounded by one’s family, consuming food that one has raised oneself, making the rounds of one’s properties, and in a word ‘to be at home’ [written in English]….I announce to you in the joy of my soul that my brother has just been made a Major in the 28 Infantry Battle Regiment…Still waiting for me here are four grand dinners, two balls, plus a celebration in Macon and if I don’t die either from fatigue or of indigestion, I might well finally arrive with a new servant at my house in the rue St.